In this third part of the series of recent technological changes, especially in touch and voice interface, and their implications, we’re going to look at how these changes might disrupt both how we acquire, interact, and contribute to content. In our previous posts we touched on the effects that these changes are having, now we’ll dive in a bit more. One of the most startling changes is our access to content. Whether it’s Amazon and their instant download of books, music or movies or services like Netflix, Pandora, Xbox music, iTunes or the ever present Youtube, we have dead easy access to lots of content in a much more affordable way than ever before. That, in and of itself, is a huge disruption to the marketing models of yesteryear and to our interaction with the content – no access, no interaction. As with any disruption, there are good and challenging aspects to it. For less well-known artists, whether they are writers, musicians, or, to a lesser extent, directors and actors, there are many legitimate channels available to make a living off of content creation. Self-publishing is no longer vanity press, webisodes are no longer amateur hour and Noisetrade isn’t just for the artist that haven’t made it. These are all ways that great artists can now connect with their audience which were prohibitively expensive and controlled by publishers under previous marketing models. Now, sure enough, prices have also gone down and it is still a challenge to make a living as a writer, singer or actor. If you’re self-published, you have the additional challenge of all the publishing aspects getting great cover art reviewers etc. along with being a marketer of your product. Not that authors weren’t involved to some degree previously, but it’s completely on them in the self-publishing world. For well-known artists, the drop in prices can mean a drop in income and established brick-and-mortar stores may become unviable. Distribution channels may wax and wane differently as people choose to cut cable and go over the web. Disruptive technologies cause disruption and we haven’t seen the full fallout of these changes in acquiring content yet. From a consumer perspective, it’s fabulous. For example, I am able to interact with writers much more readily, have access to their content, for all practical purposes, instantly and am able to more readily find those with similar interests and connect with them. Building communities around content is not especially new, book clubs have existed for a long time, but more focused communities are more readily available. Whether their for fans of the Bard connecting through ShakespeareSunday and tweeting their favorite quotes to geeking out with fellow sci-fi and fantasy fans on Sword and Laser video various community sites or their Goodreads group. Of course, this also impacts content creation and fanfiction, fan-movies and influencing what’s created through Kickstarter projects. I can readily see short movies like Gödel Incomplete made as part of a student project halfway across the world in Australia. I’ve explained elsewhere the benefits of streaming music services and musical exploration. I’m not sure there’s a better time in history of man to be a reader, movie aficionado, or music connoisseur than now. I’m also not sure that there is a better time to be a content creator with the possible exception of very well-known writers, actors and musicians. As we’ve previously touched on, the new interfaces have made access to content easier. Prior to e-readers, we didn’t have instant access to books and they tended to be more expensive. Prior to computers and tablets, we had more limited access to movies, TV shows and other visual content. Prior to smartphones and digital audio players, we had more restricted access to music. All of these are dependent on the Internet. Prior to streaming services, I had much more limited access, financially, to new music, new artists, and new experiences. Clearly I can’t interact with that to which I have no access, so this is the most disruptive part of it all. My ability to highlight and keep notes on books that are available anywhere at any time and that are able to be incorporated into other content like reviews is huge. My ability to impact others is also larger. While word of mouth remains a critical force for influencing others, my blogs, Amazon reviews and freelancing have a much farther reach. 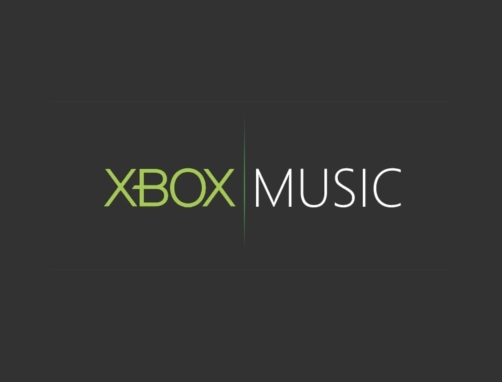 With streaming services, I can compare different renditions of Nina Simone’s “I put a spell on you.” As I hear new music in Starbucks, I can use Bing music search or Shazam on my Windows phone to find out who they are and listen to their album. And, of course, I can do this just about anywhere. I can read, listen and view anywhere, at any time (presuming technology works, for example, I’m in a place that has Wi-Fi or LTE access). On the content creation side, I can write, critique and comment from just about anywhere as well. 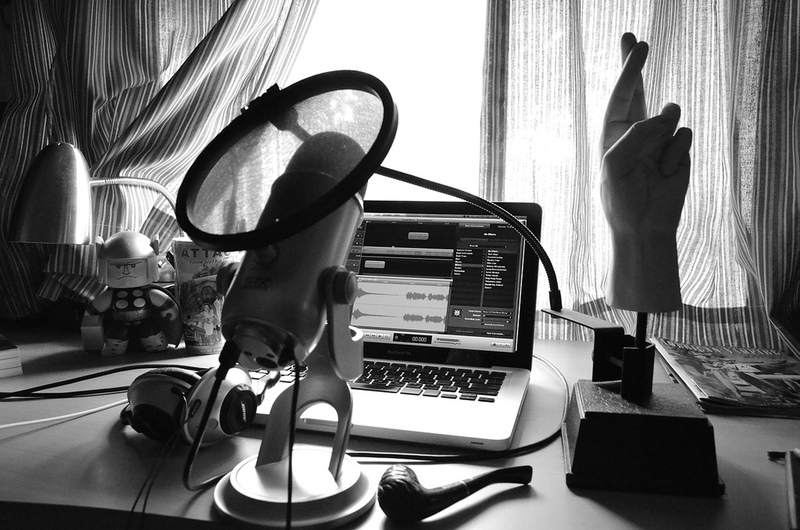 Even things like podcasts or music videos may be done reasonably well from lots more places than a standard studio. Access to prosumer high definition cameras (even my Lumia 920 smartphone has the ability to capture 1080p video with optical stabilization), decent microphones (like Blue’s Yeti) and rudimentary sound baffling can result in a good music video. The hurdles to content creation are starkly lower than they have been in the past. We’ve seen an explosion in audiobooks with the advent of audio downloads. Long gone are the days of the vast majority of a catalog being abridged. Most audiobooks are being produced in full and with good sound. Access was limited to a CD (or cassette) and a car or home; now you can listen anywhere. 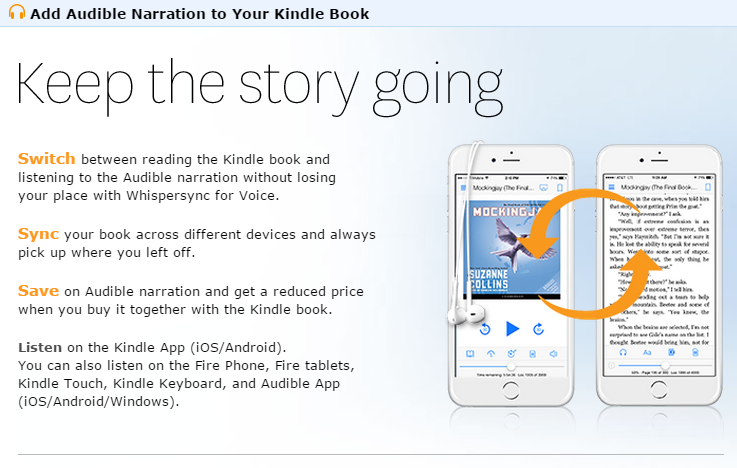 Many writers now take into consideration their words being read aloud for an audiobook as they write. This bit of technology, in other words, has changed what writers do. Once upon a time, the only way you heard a concert was to go to the concert hall. If you couldn’t afford it or you weren’t free at that time, no content. Records changed all that. Radios change that. People were able to hear Mozart’s Magic Flute or Beethoven’s “Chorale” Symphony for the first time. In the beginning the sound fidelity was pretty weak by the time stereo records run the scene, the fidelity was pretty strong. Now we can experience The Magic Flute on our tablet. We could go down history lane beginning with handwritten manuscripts, to the printing press and to e-books, but ease of access, financial and otherwise, results in an explosion of content use and, thereby, creation. Bring on the distruption. But all this is been about either access or socially sharing information. Does touch or voice interface have any disruptive capabilities? Well, clearly it does for the visual and hearing impaired; this ought not to go dismissed. Even beyond that however, any time interacting with media is made easier, that changes the game. Simplifying and opening up access is disruptive. Think about the ease-of-use of a cassette player over a record player. It allowed you to be mobile with Walkmans and car players where you had to be home to play your records (with the exception of some awkward portability). The care and feeding of a cassette player was considerably easier than a record player. Music consumption grew. Having music easily accessible on our smartphones without going through a lot of buttons and menus does likewise while encouraging us to experiment more, mashup and mix as well as try new genres. 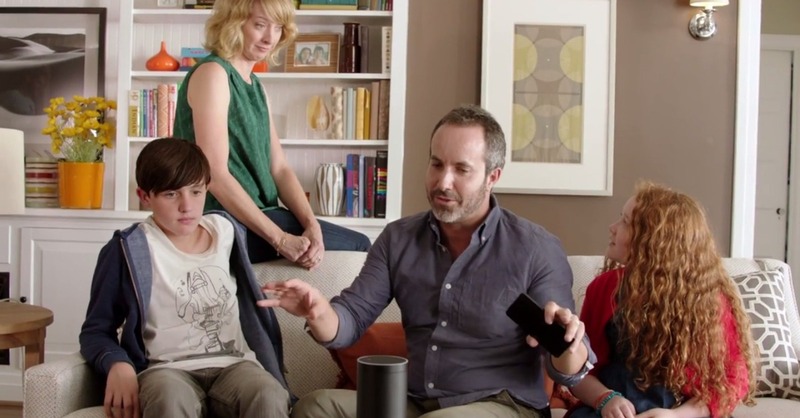 The fact that we can speak to our Amazon Echo increases my family’s sharing music, and sometimes arguing over our favorite music. So it’s not only (typically) easier but more fun. It’s a communal activity. Of course some changes allow us to go back. We can use that Bluetooth speaker to stream things like the audio play Ender’s Game Alive for all of us to sit around and listen just like with the radio plays of old. Surely there are disruptions that I don’t see coming as a result of voice and touch access, but disruptions will come. Long live the revolution.